Scratch cards and gift cards: is Asia missing out on a huge online payment opportunity? Got a gift card from Grandma to a store you never go to? It might be trickier than it has been in years past to try selling or trading that gift card for something better online. 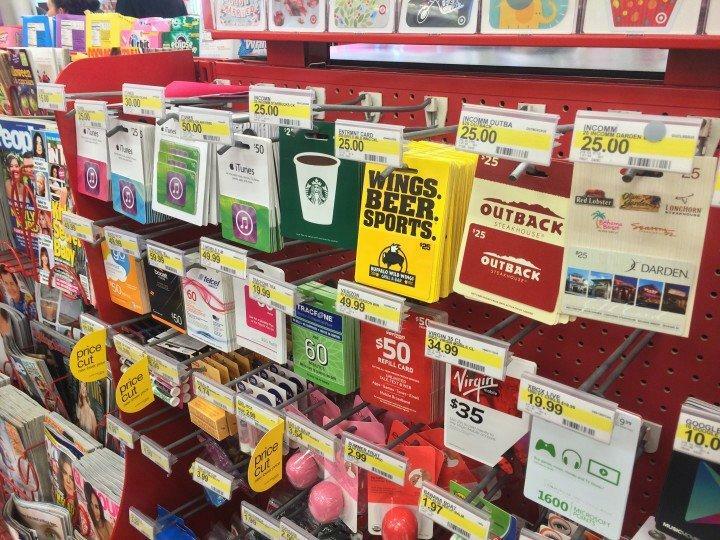 The marketplace for selling gift cards has undergone changes, making it tougher for consumers to figure out the best place to unload their unwanted gift cards for cash. Some companies have taken over old favorites while others have stopped offering cash completely. Then there are those just entering the gift card buying-and-selling market. These new entrants add to the numerous companies already in the game, creating more opportunity -- but also more confusion -- for consumers. "There are (still) a lot of ways to sell gift cards out there," says Alex Hsu, a spokesman at Cardpool.com, which has been around since 2010. "You want to make sure who you're dealing with is trustworthy, (that the site) is easy to use and gives good prices for your cards." Those looking to sell their gift cards at the once-popular Gift Card Castle will instead find Gift Card Granny. Gift Card Castle shut down early last year and Granny bought the domain name. Whereas Gift Card Castle was an online exchange where consumers could buy and sell their gift cards, Gift Card Granny is just a comparison site showing what other actual exchanges offer for your gift card, says Kendall Perez, a spokeswoman at the company. Gift Card Granny works with 15 exchanges or gift card resellers that are vetted by the company, says Perez. Gift Card Granny considers how long it takes the reseller to exchange a card for cash, their exchange policies and whether they offer a money-back guarantee. "We're really picky about who we work with because we want people who use our site to feel comfortable either selling or buying gift cards," she says. If you are looking for instant gratification that's not online, Alula might be more up your alley. Launched last year, the site directs consumers to kiosks that take the gift cards and print out a voucher that can be redeemed right there in the store. The kiosks accept gift cards from more than 150 retailers and pay between 65 percent and 85 percent of the card's value. It then turns around and sells the gift cards to partners that sell directly to consumers. Alula, appropriately, is owned by the company that puts Coinstar and Redbox kiosks into supermarkets and grocery stores. (Coinstar turns your change into bills and Redbox offers rental DVDs and video games.) The downside is that Alula kiosks are only in a handful of cities nationwide, most recently in Seattle Safeway grocery stores. Emails to the company asking for updates on its expansion were not returned. Consumers looking to set their own prices for gift cards instead of being told how much a gift card is worth can check out Raise.com, a gift card marketplace similar to eBay, but without the bidding, says Meghan Fox, a spokeswoman for the site. Consumers can list an e-card for free and physical gift cards for $1 at any price they want. When they sell it, the site takes a 15 percent cut. Raise.com oversees the transaction and pays consumers via PayPal or by check. The site also provides a prepaid shipping label for any physical gift cards that need to be sent to a buyer. Consumers are allowed to list gift cards from any retailer, local or national, and that includes merchandise credits. "So if you got an ugly sweater from a store you don't shop at and you can only get a store credit when you return it, you can at least sell it," says Fox. The site also offers a rewards program to encourage its members to buy gift cards. Any time a friend you invite (via social media sites or email) buys more than $125 in gift cards, you earn 500 points worth $5 toward a gift card purchase on the site. Fox says the bonus may be tweaked in the future. Once the premier site for ditching that unwanted gift card, PlasticJungle underwent a major overhaul this year. The site no longer buys gift cards, instead offering four other options for consumers. Cardholders can turn their gift cards into Best Buy rewards points, swap them for a CVS gift card or exchange them for United Airlines miles. For those looking for cash, PlasticJungle now recommends its partner, CardCash.com. CardCash is no newbie to the gift card exchange business. Around since 2008, it also operates ABCGiftCards.com. Both of these sites offer to buy gift cards virtually -- by sending the gift card number and personal identification number -- or by mail. Prices depend on the demand for the type of gift card, which can change throughout the year. For example, Home Depot and Lowe's gift cards are more popular in spring and summer, says Jeremy Levi, director of marketing at CardCash. Gift card sellers can receive a check, a deposit in PayPal, direct deposit to a checking account or an Amazon gift card. Check how long the company has been in business. Find out whether the company is accredited at the Better Business Bureau. Are they affiliated with bigger parent companies? For example, Cardpool.com is owned by Blackhawk Network, a large distributor of prepaid payment cards and a publicly traded company, says Hsu. Read the company's policies carefully to see if there are money-back guarantees and other consumer protections. Sellers also should be prepared to be scrutinized the first time they sell to a company, especially if they are selling a gift card with a large balance. Cardpool and Alula both use credit cards for verification purposes. And CardCash asks for a copy of a driver's license for virtual exchanges. "But once someone has sold with us one time," says Levi, "then that part of the process is eliminated and goes quicker."